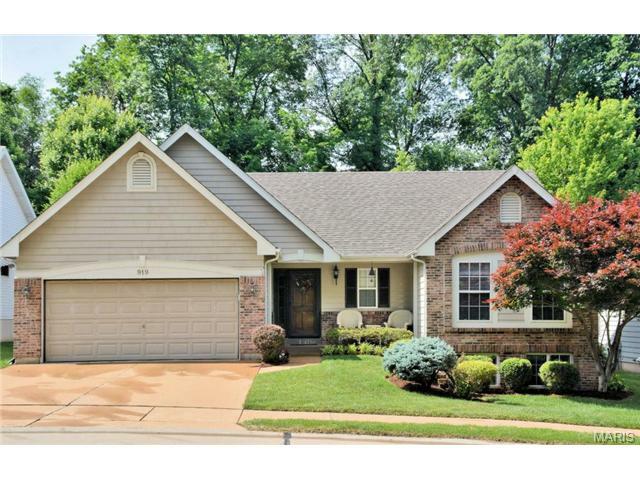 Located in St. Louis County real estate, homes for sale in Valley Park MO are centrally located in an inner ring suburb the St. Louis area. Valley Park MO Real Estate and Valley Park MO properties are a perfect addition to the St. Louis Real Estate market. Valley Park real estate is made up primarily of well-established homes. Homes for sale in Valley Park MO range in price from about $50,000 to $300,000. The median home price in 2014 was approximately $175,000. Residents of Valley Park enjoy a selection of parks including Lone Elk Park which is home for buffalo, turkeys, elk, and deer. All of which can be viewed while driving through. Lone Elk also provides a World Bird Sanctuary that is home to lesser known birds of prey. The Valley Park School district has received numerous accolades including “Best high school schools in U.S.” by U.S. News, the “National School of Character Award” for the Middle School and the average ACT score is 24. See Great Schools for up to date ranking on every school in the area. If you are looking for a home for sale in Valley Park MO or you would be interested in buying a home in Valley Park, please contact St Louis County real estate expert, Sharon Colona and St. Louis Realty for a professional and simple buying or selling process. Call (636) 397-7653 or email at scolona@stlouisrealty.net. 7.485 Acres for sale in Unincorporated Southwest St Louis County in the coveted Rockwood Summit School district. Convenient access to Hwy 141 and Hwy 44, shopping and entertainment. xD; xA; xD; xA;Property is perfect for Homes, Apartments, Condominiums, assisted living center or commercial property. Property is currently zoned R-1. The property is partially wooded creating a private, serene location in a prime location. Property is currently being leased for the house, barn, and detached garage. New roof installed on the single family home. The property could easily be used as a horse ranch and is not far from Valley Mount Ranch. xD; xA; xD; xA;Schedule a showing today to discover all the property has to offer! Gorgeous 4 Bedroom, 2.5 Bath on a picturesque corner lot in award-winning Parkway Schools! The inviting Entry Foyer opens to formal Living and Dining Room with hardwood throughout. The Family Room features a large bay window and cozy wood-burning fireplace. The updated Kitchen and boasts 42 inch cabinetry, granite countertops and a large slider to the rear deck. Main Floor Laundry and an updated Powder Room complete the Main Floor. Upstairs, the vaulted Master Bedroom with large walk in closet and updated Bathroom with double vanity. Additionally find 3 large Bedrooms and an updated full Bath on this level. The walkout Lower Level includes a large Rec Room and plenty of room remaining for storage. You won't miss anything with this location. Convenient to shops and restaurants, and a quick commute to Highways 141, 40 and 44. Don't miss your chance, scheduled a showing to see it today! Your chance to own Beautiful New Construction with all the bells and whistles! The Leonard Model: Ranch style with 3 bedrooms, 2 full baths and 2 car attached garage. Approx 1512 sq ft on main level. 3 panel doors and 5 baseboards. Entry foyer leads to large vaulted Dining Room and Great Room with soaring ceilings. Living Room has gas fireplace. Separate Dining Room with slider walking out to rear yard. Ample kitchen with stainless appliances, granite countertops, custom cabinets, breakfast bar area, pantry-WOW! Main floor laundry w/option for utility sink. Master bedroom suite has coffered ceiling, ensuite bath w/double sinks, sep tub/shower and large walk in closet. 2 more bedrooms and another full bath. LL is ready to finish with deep pour, rough in, walk out and sump pit. This home spacious home is a must see! It features 3 bedrooms, 3.5 bathrooms, partially finished walk out basement, deck, 2 car attached garage, charming fireplace and so much more. Hurry this will not last long at this great price! If buyer is planning on occupying property please have them sign the owner occupant form and submit with initial offer. To make an offer all selling agents go to the Homepath website and see instructions attached.